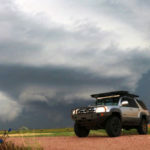 Tornado Alley Chasing is an opportunity for storm chasers and weather enthusiasts that want to learn how to chase severe weather. Even if you just need a storm chasing partner because you live overseas or outside Tornado Alley, I'm here for you. Based in Tornado Alley, we have access to some of the wildest and most photogenic weather on Earth. My name is David Williams, and my mission is to give people from around the world a partner in storm chasing. I want to meet and build relationships with storm chasers, and I want to do that by partnering with small, enthusiastic groups. If you have no storm chasing or forecasting experience, but you want to learn, then I can teach you. I love chasing severe weather, and I want those that share my passion to have an opportunity to pursue it. No scheduled group tours have been submitted for this tour operator yet. Why choose Tornado Alley Chasing? I exclusively handpick chase partners. This is not a typical storm chasing tour. If you are an established storm chaser or meteorologist that wants to chase with other storm chasers, then this opportunity is for you. Also, if you are new to storm chasing and want to learn how to do it so that you can chase independently, I can teach you. At $100 USD per chaser, per day, you aren't going to find a cheaper storm chasing opportunity. However, if you cannot afford $100 per day, please contact me. I am always willing to work with people that need financial help. Toyota 4Runner, with plenty of room, off road capabilities, and a heavy duty hail/debris shield. 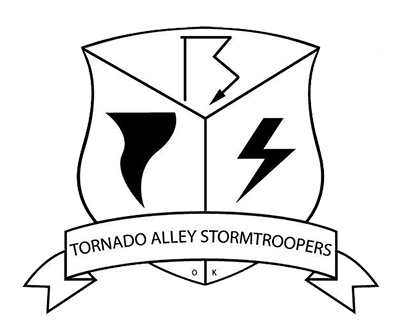 If you have been on a tour with Tornado Alley Chasing, please write a review. I've been storm chasing for 16 years, and I started this business in 2014. I am self-taught, so I've devoted a lot of time to studying meteorology and forecasting. I teach for a living and I'm good at it. I really enjoy teaching people to chase, and I enjoy getting close to tornadoes. I'm married to the best wife ever. We travel the world and see lots of cool places. We snowboard and surf when we can, and we love reading. Major Harry Potter fans here!